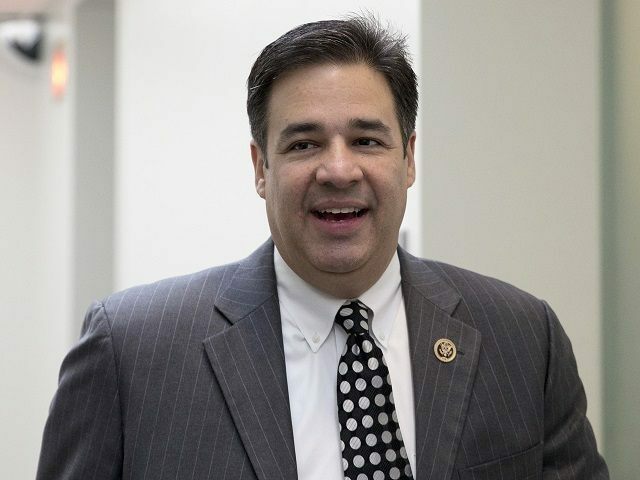 17 Nov 2015 Washington D.C.
Rep. Raul Labrador (R-ID) was dead wrong when he criticized the accuracy of Breitbart News reporting on Tuesday. At “Conversations With Conservatives,” a monthly panel where conservative lawmakers field questions from the press, Labrador falsely accused Breitbart News of “dishonest” reporting and refused to answer whether he would support curbing visa issuances to Muslim countries. When Breitbart News asked members if they would support curbing Muslim immigration, Labrador replied with a personal attack on this reporter—one he could not substantiate. “I don’t answer questions from you because you are not a truthful reporter and I will not answer any of your questions,” Labrador said. When pressed by this reporter to identify what Breitbart News reports he deemed “not truthful,” Labrador could not point to a single article or fact. 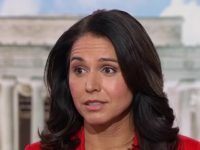 JULIA HAHN (JH): A majority of GOP voters think that immigration rates are too high—that’s driven predominantly by green cards and legal immigration. Sen. Rand Paul has proposed that we suspend all visas issuances to Muslim countries with jihadist movements, and so I was wondering if I could just get a show of hands—and of course you can elaborate later—of how many of you on stage would be willing to support a suspension or reduction to Muslim immigration as Rand Paul has suggested? SEVERAL MEMBERS, INCLUDING REPS. RANDY WEBER (R-TX), DAVID BRAT (R-VA), AND CYNTHIA LUMMIS (R-WY) RAISED THEIR HANDS. BEFORE OTHERS ON THE PANEL COULD RAISE THEIR HANDS OR ELABORATE, LABRADOR CUT ACROSS THE QUESTIONING AND IMPUGNED THE INTEGRITY OF BREITBART NEWS. IN AN INTERVIEW AFTER THE PANEL CONCLUDED, REP. STEVE KING (R-IA) ALSO CONFIRMED HE SUPPORTS CURBING MUSLIM IMMIGRATION. RAUL LABRADOR (RL): I don’t answer questions from you because you are not a truthful reporter and I will not answer any of your questions. JH: Wait, I’m sorry, could you tell me what I’ve reported that’s not truthful? ROBERT BLUEY OF HERITAGE FOUNDATION, MODERATOR OF PANEL: We can take this up afterward, let’s not get into a debate. RL: I’m not talking to you. The cause of the dustup was apparently a story from Monday wherein Hahn went after House Freedom Caucus chairman Jim Jordan (R-Ohio) for getting no commitment from Speaker Paul D. Ryan (R-Wis.) that Congress would curb the immigration of Muslim refugees. “He wasn’t even asked a question about the refugee program in that story,” Labrador told The Huffington Post after the event. What Labrador alleged was entirely untrue. House Freedom Caucus Chairman Rep. Jim Jordan (R-OH) was asked about the refugee program on multiple occasions throughout the interview with Breitbart News. In fact, Jordan was asked specifically about legislation offered by his colleague Rep. Brian Babin (R-TX) which would halt the refugee resettlement. Jordan was also asked about whether the Freedom Caucus would pressure Paul Ryan to block the funding for Obama’s refugee resettlement program in the year-end Omnibus spending bill. After the exchange with Breitbart News during the panel, Labrador left early. While the panel was still going on, Breitbart News caught up with Labrador as he was in the hallway. Labrador physically fled, nearly slamming a door in this reporter’s face, in order to avoid answering a question about whether he supports reducing or increasing immigration. JULIA HAHN (JH): Congressman, can I ask, why will you not say if you would support immigration reductions? RAUL LABRADOR (RL): I don’t talk to you. I don’t talk to you. You are dishonest. You’re a dishonest person. JH: I’m sorry, what have I said that’s dishonest? RL: Everything you have written is dishonest. JH: Could you point to one single thing? RL: We have tried to point it out and you guys didn’t care. JH: Do you support increasing immigration—yes or no? JH: It’s a yes or no question, Congressman. JH: Mick Mulvaney has [suggested] that he supports increasing immigration. Do you agree with him? JH: So you really just won’t say whether you support increasing immigration or not? You’ll [talk about] it on NBC’s Meet the Press, but you won’t say it to me? Labrador didn’t respond and nearly slammed a door in this reporter’s face. Nonetheless, King, a conservative from Iowa who’s been one of the strongest Republicans on immigration, told Breitbart News in an exclusive interview after the panel that he would support a suspension of visas to people from predominantly Muslim nations with jihadist movements. According to Pew, more than nine in ten Republican voters would like to see future immigration rates reduced. However, as immigration experts have documented, Congressman Labrador has a long history of pushing to expand immigration levels. As the Center for Immigration Studies’ Steve Camarota has previously explained, Labrador holds a largely similarly position on immigration as rejected Speaker contender and Republican establishment’s Kevin McCarthy. They are both what I would call high immigration guys. They are inclined to see the benefits of immigration, not the costs. They’re inclined to be sympathetic to employers who want more workers and not as inclined to see the general wage stagnation across the U.S. economy and the enormous number of working-age people not working. NumbersUSA’s Rosemary Jenks also told Breitbart News that Labrador supports increasing immigration–not reducing immigration. “He is for increasing immigration through the guest worker program, which NumbersUSA opposes. We want to reduce immigration. We are hoping we can bring him along, but we have not any seen indications of that yet,” Jenks said. Labrador has been conducting quiet talks with Rep. Luis V. Gutierrez (D-Ill.), one of the House’s leading liberal immigration advocates. Recently, he requested a meeting with President Obama, the nemesis of many in his party and his congressional class, to discuss working together on the issue. The Washington Post reports that Labrador believes Republicans need to move closer to the left on the issue of immigration. Labrador… favors allowing those without documents to seek a nonimmigrant visa — part of a new, robust guest-worker program. It would allow them to step forward and gain legal status.. he says, normalized residents should be able to seek a green card, which offers permanent residency and is a prerequisite for eventual citizenship. Labrador’s refusal to commit to curbing Muslim immigration is significant as House Speaker Paul Ryan prepares a show vote on the nation’s importation of Muslim refugees. Last month, Raul Labrador cast his vote to elect Paul Ryan as House Speaker. “We can always count on Republicans to take a 90/10 winning national security issue and turn it into a shiny object,” Conservative Review’s Daniel Horowitz writes. Instead of listening to their constituents and following the calls of 30 governors to shut down Islamic refugee resettlement, Republicans are about to pull the classic bait and switch: pass a phony standalone bill and decline to defund it in the budget bill… Remember Obamacare, executive amnesty, EPA regulations, and Planned Parenthood? The Islamic refugee issue is no different. They have no intention of actually stopping it, despite the fact that they could destroy the Democrats in the upcoming election on this issue alone. They will pass phony legislation, but will never defund it. Rep. Brian Babin (R-TX)—who told Breitbart News separately that he would support a reducing visa issuances to Muslim countries—has said that a show vote would be unacceptable. Sessions and his Alabama colleague Sen. Richard Shelby (R-AL), a senior member of the Senate Appropriations Committee, have similarly declared that if Congress wants to represent and protect the American people, it must use the power of the purse to stop the refugee resettlement program.